It's ok! No pressure! Seriously though, how great is that beard? Kill the rabbit! Neuter it and wear its lucky head on a chain. That rabbit has done me in countless time before, heh, so good luck with it, Mr. R. You're in India - make the most of it! hey, how IS it in india? i've been contemplating a journey. Where's Dan Tastic to rescue you when you need it?!? Beware of the Rabbits of Procrastination. 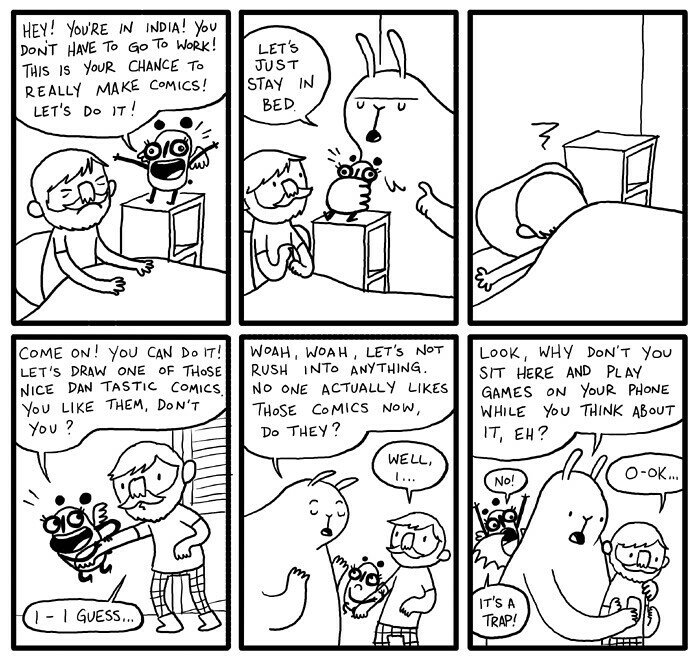 Actually I like this Dan Tastic comics! Silly rabbit!